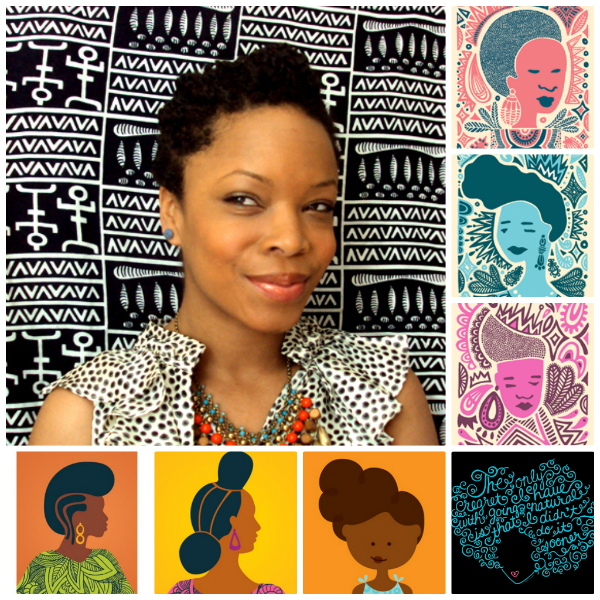 Andrea Pippins is a graphic designer, illustrator, and assistant professor of art at Stevenson University. 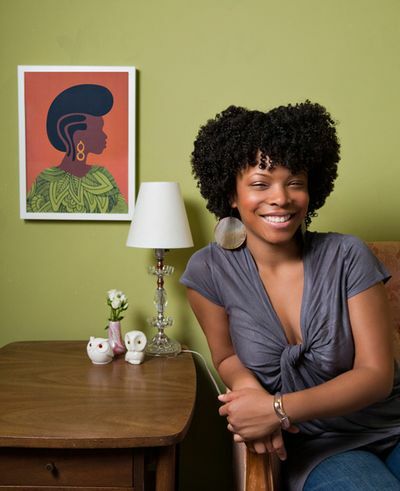 Her recent work is a four poster series of prints called “Crowns of Color”. 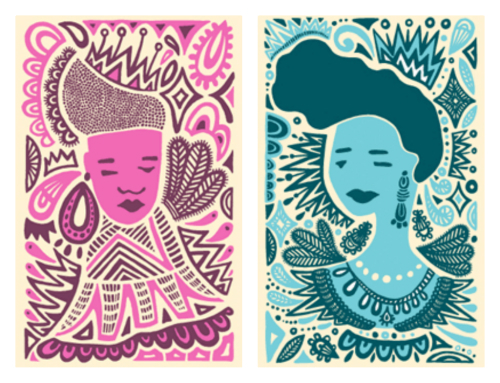 …Crowns of Color is meant to be celebratory, quirky, and a documentation of our culture. Like the barbershop signs from Africa. 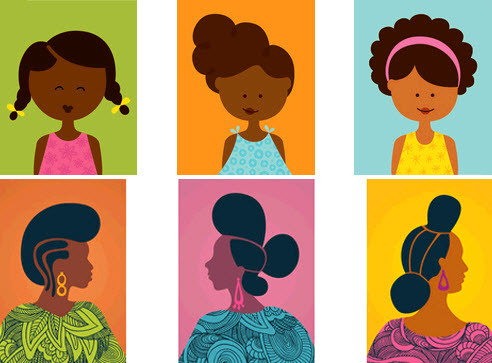 Although they are simply style guides for the clients who patron the shop they are also reflections of history—a record of what hairstyles were hot at different periods of time in different parts of the continent. I wanted to pay homage to that. 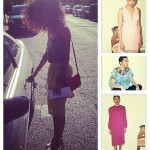 For more on Andrea Pippins, check out her website and blog Fly. 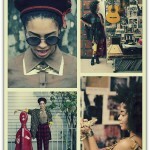 “Crowns of Color” is available for sale at Flygirlblog. 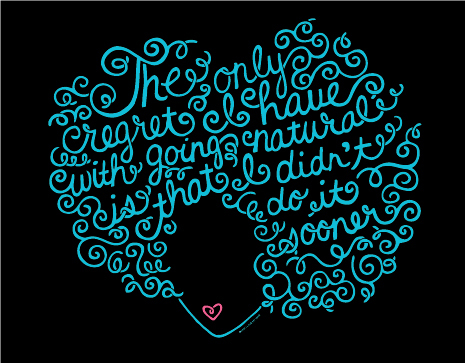 Aww, good choice…I love her blog! Love Andrea and Fly!! Her artwork is stunning. Wow, her art is stunning. I need one for my wall! I am super late but wow, thanks so much for sharing! Wow I finally know who this artist is! 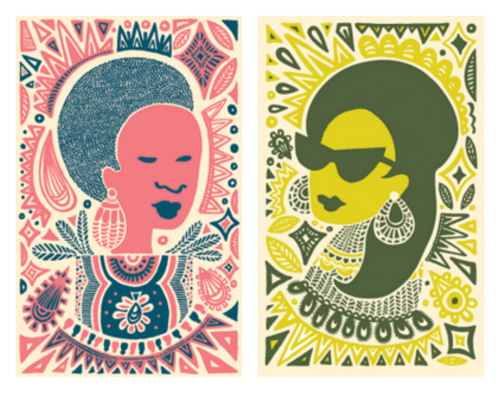 Love the prints featuring the little girls, reminds me of similar ones from my childhood…..